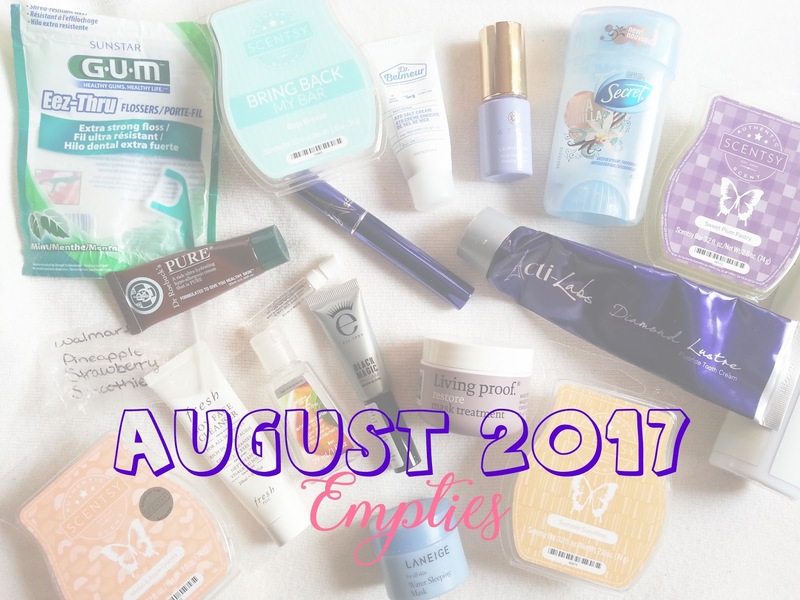 Deidre's Discoveries: August 2017 - Empties! Another month has come and gone, and it's already the end of August/beginning of September. Where did the summer go?! And the year! I can't believe we're getting so close to the end of 2017 already! 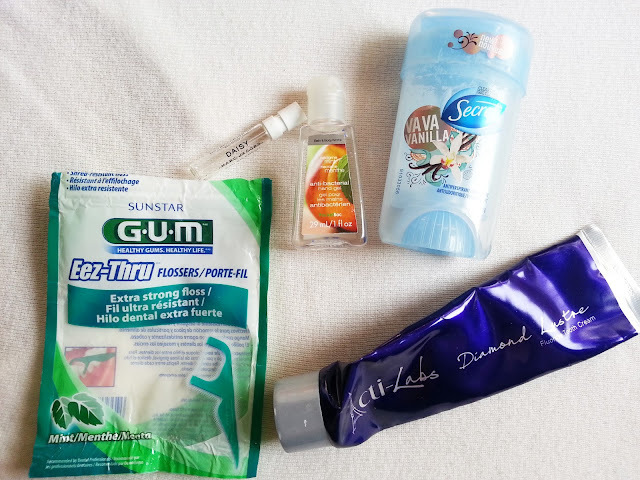 Anyway, it's time to collect the beauty trash, and see what I've used up for the month of August! I need to work on more makeup empties... hopefully working full time now will help me get through some products! This is more of a gel texture, but it mixes well with a face oil for extra hydration. This is lightweight but brings so much hydration to the skin. I love this sleep mask, and I'd consider purchasing the full size. This is probably one of my most favourite cleansers. It's gentle, but effective. It removes makeup without stripping the skin. It has a slight scent of cucumbers. I've already repurchased a full size! I used a sample of this previously and kind of liked it. But this time around it would not co-operate with my skin. I couldn't wear it under makeup, and it would pill even with just a serum underneathe. If I didn't use anything underneathe, it would take forever to try and rub into my skin, and would leave a white cast. I didn't like this, and ended up tossing half of the tube. I'm not going to fight with a moisturizer when I have others to use up. This serum. I couldn't tell if it actually was doing something for my skin, but it felt nice. I don't think I will repurchase because of the price. I used this mostly as a body cream as it was too thick for the face. I liked that it was unscented so I could use this any time. I probably wouldn't repurchase. I enjoyed this toner and it lasted forever. It made my skin fill nice and quenched when it needed a little pick me up, whether it was after washing my face, or after applying makeup. It didn't have a scent which was nice as well. I don't think I would repurchase it though, just because I prefer my Lush - Eau Roma Water (mist toner) better. These are so handy to have, and makes it easier to get in those hard to reach spots. I've already repurchased. This was just a sample sized perfume. It smelled nice, not something I would regularly reach for. I wouldn't repurchase. I love these little hand sanitizers from bath and body works, and I actually keep one hanging off my purse. They are nice to have, and they always smell great. This is the older style of packaging, and I still have a few more to get through. I used to hate gel deodorant, but it's really grown on me in the past year or so. I actually prefer it now over the stick deodorants I was using previously. 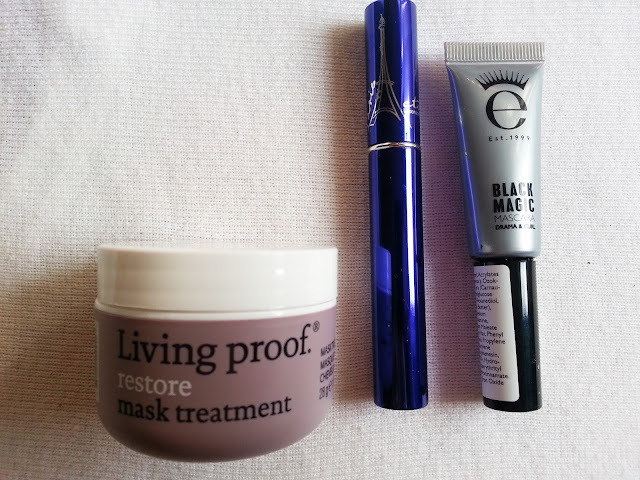 I've already repurchased. I bought a couple of these in a direct sales swap. This toothpaste is just okay. I haven't noticed any difference in my teeth, except this leaves a gross film in your mouth after brushing, which I hate. I have another tube to get through (why did I have to buy so many!?) but I won't be repurchasing when that one is one. This was a thick hair mask, and didn't have much of a scent. I didn't find that it did much for my hair either. It was nice as a conditioner, but nothing special as a hair treatment/mask. I wouldn't repurchase. I think I used this mascara twice, and it got soooo goopy and thick. I tried to make it work once more, and it just won't work anymore. I won't be repurchasing. This has been reviewed and in past empties posts. I really like this mascara! It really does bring some "drama" to your lashes, and has a nice curved wand. I have another sample to use up, but I'd consider purchasing a full size in the future, if I ever need to buy mascara anytime soon! Summer Sunshine - Pineapple and coconut bask in a warm mandarin glow. This is a nice mix of pineapple and coconut. I have similar smelling scents though so I used it up. I wouldn't repurchase just because I already have similar scents in my collection. Melon & Apple Granita - Crisp apple and sweet melon surge with sparkling citrus. This was such a nice scent! The melon was the strongest out of the three. I wish I didn't use this up so quickly! I would repurchase but it's no longer available to order. Tingelo - A melange of sweet fruit and tangy citrus; tangelo, lemon, and apricot, enhanced by fragrant lychee berry. This was somewhat "tangy" citrus - but nothing really stood out to me. While it wasn't a bad scent, it wasn't my favourite, so it was easy to use up. 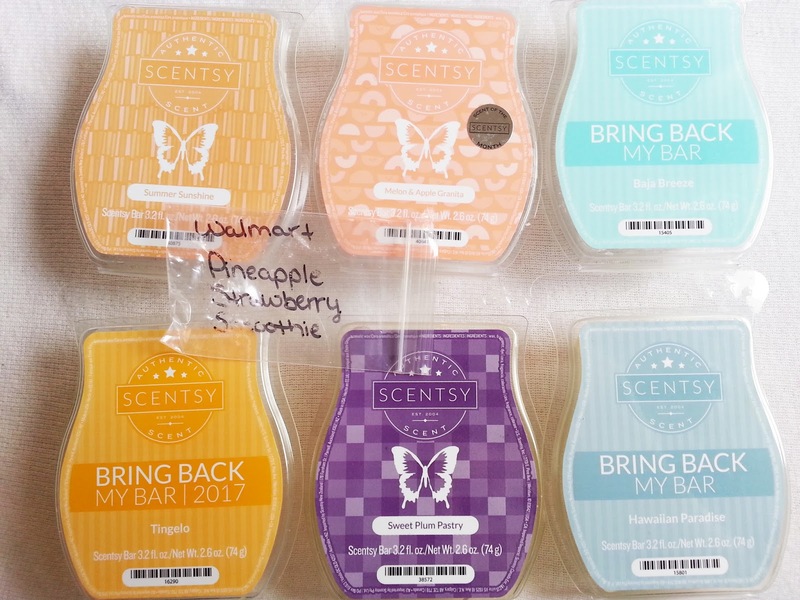 I wouldn't repurchase because I prefer other citrus Scentsy bars. Sweet Plum Pastry - Black plum and toasted coconut garnish a marshmallow cloud. Hmmm... I can't say that I detected coconut in this one. I definitely got the black plum, and the sweetness from the marshmallow. But there was definitely a pastry scent to it. This was a nice scent for fall, and hopefully they bring it back, because I'd repurchase it! Hawaiian Paradise - Buffet of hawaiian fruits: pineapple, banana, mango, papaya and coconut. If rockets candy (smarties for you americans) were tropical flavoured, that is exactly how I would describe this scent! It's tangy, and sweet, and fruity. I love it! It was only available in just for the bring back my bar promotion. I liked it so much that I purchased another. If it comes back again I will be sure to purchase it again! Exactly how it is named. Pineapple, strawberry, and smoothie! It was a nice fruity scent without being too strong, or too light. I was sent this from a friend who lives in the USA and it's not available in Walmart here in Canada, which is a let down. But it smelled great! 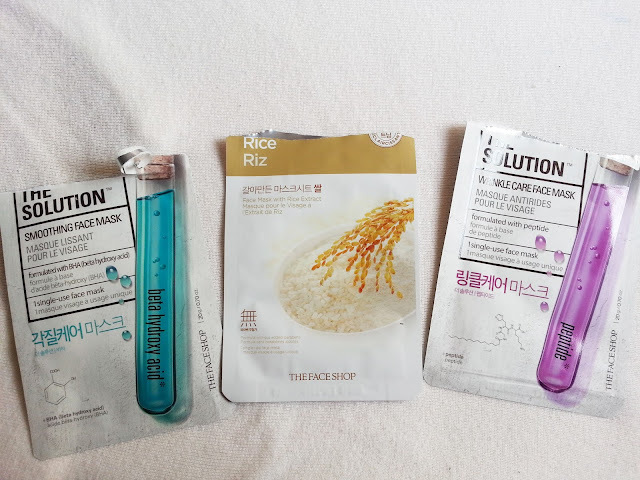 I love TheFaceShop face masks! I didn't find that the BHA did anything for my skin from the smoothing face mask. The rice mask is always a nice hydrating mask, and obviously I didn't see any results from the wrinkle care mask because you never will with 1 application. 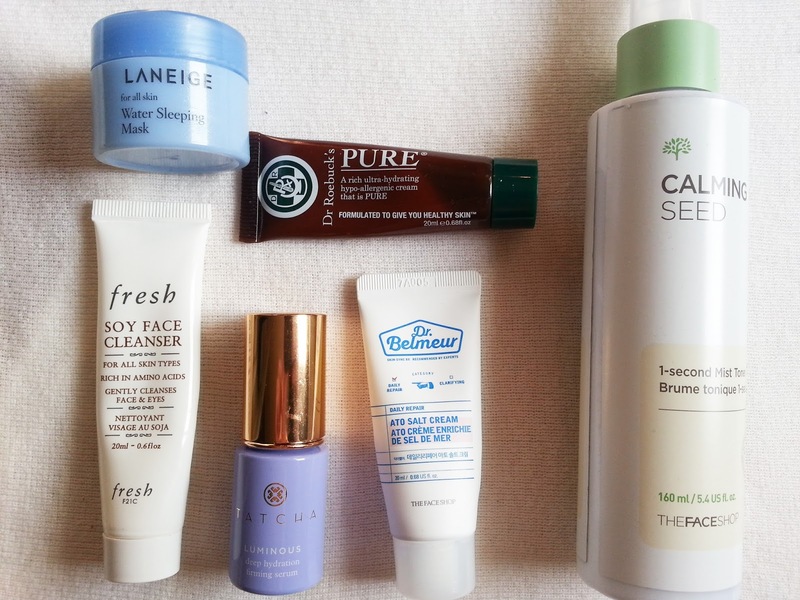 Either way, these all felt great on the skin, and I have more in my stash. I only used up 24 products this month, which is on the lower end for me! Hopefully September will bring more empties!